Codru Vrabie is a civic activist, trainer and consultant on topics related to good governance, transparency, accountability and integrity in the public sector. He has contributed to many reforms in the judiciary and public administration of Romania. Vrabie has BAs in legal and political sciences (Romania, Bulgaria, the USA) and MAs in administrative sciences and European affairs (Romania, Netherlands, Spain). He has been working for various Romanian civil society organizations since 1998. In 2010, Vrabie started working with the “Leaders for Justice” programme, which was replicated in 2017 in the Republic of Moldova. In April 2018, Codru joined the team of the telegraful.net website, where he works on the podcast series ”Hypotheses” – a project of the ”Courage Ahead” Association (Curaj Înainte). Baricada talked with Vrabie about the direction of Romania`s anti-corruption movement, after a member of parliament from the ruling Social Democratic Party proposed changes to the penal legislation in April 2018, which are believed to be beneficial for those accused of corruption and to make the work of prosecutors more difficult. Since 2017 there has been a tendency towards redefinition of the Romanian fight against corruption. Another important issue in the interview is Vrabie`s criticism of the current discourse on unification between Romania and the Republic of Moldova. Vrabie also shared his thoughts on regional cooperation in Central and Eastern Europe and on Romanian-Bulgarian relations. Mr. Vrabie, for many years the Romanian anti-corruption campaign was given as an example to be followed in the country and in the region. It now looks as though the government in Bucharest is saying that this way was wrong. What is happening with the anti-corruption fight in Romania? Is it going to cease? Or, in fact, aren`t we seeing a fight over who will carry out anti-corruption activities and against whom they will be directed? I usually try not to say that the Romanian anti-corruption campaign could be an example. I have always shown that there is progress, but I have also underlined the deficiencies that must be corrected. Led by the desire to finally brag about something, some opinion-makers started to promote this idea some five or six years ago. It looked as though Romania now had something to export in terms of good practices. As usually happens in such situations, professional eulogizers appeared. But it looks like the institutional actors who had the responsibility to correct the deficiencies didn`t want to work and didn`t have somebody to talk to, so in that atmosphere they didn`t move towards a resolution of the problems. The camp that supports the anti-corruption efforts concentrated excessively on the penal component, on punishment for those who were revealed to be implicated in corrupt actions, but forgot to work on the administrative component – on control, or the managerial component – prevention. In contrast, the camp that is opposed to the anti-corruption efforts noticed that the first camp`s attack was focused exclusively on penal legislation, and counter-attacked where it was easiest for them – through the government and the parliament, and changing the penal legislation. In other words, it is possible that the fight against corruption in Romania could take a new form, but I don`t think that it will cease. The role of DNA (the anti-corruption prosecution) may be diminished, because the ongoing modification of the penal legislation will make the work of an anti-corruption prosecutor much more difficult. It doesn`t mean that the legislative modifications will be adopted easily. The process has lasted almost a year and a half so far, and may not reach a “good” resolution until the forthcoming elections [at the end of 2019 there will be presidential elections – ed.]. This slow progress is explained by the fact that there are actors involved from outside Romania: the European Commission, the Venice Commission, GRECO (the anti-corruption entity within the Council of Europe) and UNCAC (an anti-corruption entity within the UN). My hope is that the civic support which we have observed in the last year will help the creation of new anti-corruption mechanisms, especially in the field of prevention through managerial tools. I could be more concrete: the directors of local administration institutions, which are closest to the people because they deliver public services (authorisation, assistance, certificates, licences, etc. ), could be confronted by street pressure. They might be pressed to dismiss from the ranks of public institutions those individuals who are known to abuse their power. These directors might realise the need to apply the prevention measures of the National Anti-Corruption Strategy. But this time round, these public administrators might be pressured to do this because they are asked for that from below, from the ordinary people, from their own voters. We already know that they didn’t respond favourably when they were asked to do that from the centre, from Bucharest. But things are still too complicated and I don’t think that predictions can be made about the new direction of the Romanian anti-corruption fight. We only see that we are at a crossroads. In your “Hypotheses” podcast you comment on the recent discovery that a collaboration protocol was signed in 2009 between the Romanian Intelligence Service (SRI) and the General Prosecution. According to the Constitution the intelligence services must stay away from the judiciary. You say that corrupt actions can be neither defeated nor corrected through illegal means (two wrongs don’t make a right). You also add that this protocol might lead to the liberation from prison of people who have already been convicted of corruption, or even that Romania itself could be condemned by the European Court of Human Rights in Strasbourg, because these people might have been sent to prison through an abuse of the law. Will the redefinition of Romania’s anti-corruption efforts mean that it will be liberated from its deviations or, on the contrary, that the anti-corruption abuses will be used as an alibi to introduce new rules against the judiciary? The protocol from 2009 has been declassified by the authorities, even though public opinion was warned back in 2015 that such a protocol may exist. In other words, it took us three years to find this small part of the truth. In the last month we have also learned that SRI signed such protocols with the National Integrity Agency, the Judicial Inspections, the Superior Council of Magistracy and even the High Court of Cassation and Justice. The act itself – to make such a protocol for collaboration or institutional cooperation with other institutions – is not illegal. But it is a little bit suspicious that SRI wanted to have such protocols with the key institutions in justice and anti-corruption. The gravest problem was that these protocols were classified. It is very probable that there are other secret protocols from before 2009. We suspect that the most important one was signed in 2005. In this context it is important to remember that after the elections in 2004, former President Traian Băsescu adopted a new defence strategy for the country, in which corruption was listed as a vulnerability to national security. Even though the law didn`t explicitly permit SRI to collect information about crimes of corruption, it looks like this strategy might have given the idea for secret collaborations to the General Prosecution (but I think that this secret collaboration is older, from the beginning of the `90s). Returning to the declassified protocol from 2009, there are provisions that could be interpreted as illegal. There is a possibility that prosecutors might have obtained evidence on the basis of these provisions. But this might mean that this evidence could have been obtained illegally. If that is true, it means that there are people convicted of corruption who can ask for a review of their court cases. Some of these people might be rehabilitated, get smaller sentences or even be liberated before the end of their sentences. Everything is possible! If such people have been imprisoned illegally, they will certainly have to be paid compensation. If we return to your last question, we don’t know yet how things have unfolded: some prosecutors might not have known about the illegalities of the protocol and could have used the information and the evidence to which they had access in good faith. It is obvious that the parliamentary majority is generalizing some as yet unproven presuppositions, so that it can modify the penal legislation. The purpose of these modifications is to make the work of the anti-corruption prosecutors more difficult, as if the Romanian state were taking sides with the corrupt against the honest citizens! Unfortunately, it wouldn`t help for the deficiencies in the anti-corruption fight to be corrected. It would rather create new problems for Romania’s judiciary. If you look at what has been taking place in Romania in 2017 and 2018, is it possible that we are seeing the birth of a new political regime with the Social Democratic Party (PSD) at the top, a party that will continue to change the balances to its own advantage? What is the essence of the political, fiscal and judicial changes which the PSD has implemented so far? Are we seeing the end of the western project for Romania`s modernization through anti-corruption and cleaning up the political class or, on the contrary, is the PSD going its own way in the western vision for Romania, through loyalty towards the current ruler in the White House and buying American armaments? I am not able to comment on Romanian foreign policy, but there are some things that are well known to all: Romania is struggling to maintain the good relations it already has with the White House. This is a strategic objective and all the political powers agree with it. The buying of American armaments was a common objective, upheld by all the political powers in Romania who signed the Defence Pact at the beginning of 2015 – the new president, Klaus Iohannis, and the heads of the parliamentary parties. In other words, this is no surprise. The course of action, in my view, is the same, regardless of who is in power. Yet, it is true that we hear rhetoric from the two ruling parties (PSD and ALDE) which is deeply conservative, autocratic and anti-European (it reminds me of the former dictator, Nicolae Ceauşescu). But I think it is important to understand that PSD and ALDE are not explicitly opposed to Romania`s westernization. Their plan is to slow down the pace of social transformation, until they figure out how to exploit it politically (in fact, electorally). I am convinced that they understand that the current changes in Romania are inevitable. But they understand that these transformations lead to an electoral advantage for the other parties in the parliament, especially for the “Save Romania” Union (USR). They might also lead to advantages for the new political parties entering the scene: Ro+ (the formation of Dacian Cioloş, former Romanian prime minister and former European commissioner for agriculture – note of the translator) and Demos (a social-democratic party – note of the translator). It seems natural that PSD and ALDE, even the National Liberal Party (PNL), the Party of Popular Movement (PMP – the party of the former Romanian President Traian Băsescu) or even the party of the Hungarian minority (UDMR) should be able to capitalize politically on the social transformations. However, they still don`t know how to do that. That is why they are still making efforts to keep things the way they are. Anti-corruption and cleaning up the political class are not goals in and of themselves, but rather the means for society to advance more rapidly on the road to modernization, development and well-being for every citizen. PSD and ALDE only want to slow down the pace for a while, but not necessarily to stop the process, and certainly not to reverse it. I am convinced they are not crazy, but only inadequate for the times we live in. If we pay attention, PSD and ALDE haven’t managed to change anything for good for Romanian citizens. This shows how inadequate they are. The political changes have brought about neither stability, nor predictability. Fiscal changes or the changes in the labour market haven’t brought any pluses in well-being. The changes in justice still have not been really adopted. The result is that PSD and ALDE are losing voters, as can be seen in lots of opinion polls. The forced policies of these two parties and their controversial decisions cause anger, and it looks like the most progressive segments of Romanian society have started to emigrate again. In other words, “the new political regime” seems to be so toxic, that it is even killing itself. I don’t see how it can survive in the long term – until 2040, as the most recent news is indicating (PSD proposed a law on Strategy 2040, which is to set the horizon of its activity for the next 22 years). In the last 20 years you have been active in the non-governmental sector as an anti-corruption expert. How do you see the future of the field you have been active in? Does anti-corruption have a future in Romania? To what extent are the “Hypotheses” podcasts an attempt to find a new space for your activity? Civil society organizations have a very difficult life. Romanian civil society faces a large deficit of resources – not only financial, but also human. Certainly, in the absence of funds it is getting harder and harder to offer decent salaries. This means that organizations have difficulties in attracting qualified people. It is also difficult for the civil society activists to live on small salaries. Everyone of them has to pay for electricity, heating, telephone and the internet. The civic activist also has to travel across the country, to be able to understand at first hand what is not working well in the society. Then come the expenditures on research and preparation to find out who else has faced a similar situation in Europe or the world and what the solution was. On top of all these drawbacks there is also the pressure from politicians, exercised through changes in the legislation of civic organizations. The examples in Russia and Hungary are quite telling. Unfortunately, some Romanian organizations have had to close down for lack of financial support. If some new legal modifications are introduced, increasing the bureaucratic burden, it is possible that we will see even more organizations closing. That is why activists feel the need to position themselves in a different way in their relations with the public and to start using new means of communication. Our experiment with the “Hypotheses” podcasts, hosted by telegraful.net, follows this logic. With a daily selection of relevant news about Romanian society – without insults, without clickbait, without inflammatory comments along the lines of “See what X said about Y, after Y pretended that he knew devastating truths about X”. The podcasts are a means of communication that is similar to the radio. It is easy for me, because I remember the time when, as a student at the American University of Bulgaria, I worked in Radio “Aura” in Blagoevgrad under the pseudonym Goran Vrabchev (in my senior year of the faculty I was even permitted to speak in Bulgarian on the radio and I was very happy to have learned the language well enough to be able to say some words). But let me return to the question: not anti-corruption, but good governance has been my central preoccupation over the last 20 years – since I returned to Romania. As I said earlier, anti-corruption is only a means, not a goal in itself. The goal is for people to be governed better, to receive the public services and the administration they need, with the necessary quality, so that they can develop education and health services, roads, sanitation, electricity. We pay taxes for these things with the exact goal of obtaining well-being, a decent living standard, a cleaner environment and a better future. This is what we want to achieve with the “Hypotheses” podcasts: people becoming more aware of their value, of the possibilities, so they can demand accountability from authorities and politicians. One of your podcasts is about the union with Bessarabia. In this programme you remember that in the interwar period the Romanian governance of Bessarabia was seen by many as an occupation. You also added that in order to succeed in uniting with Bessarabia, Romania must cease to communicate only with Moldovans, who are open to the Romanian nationalist vision towards the region, and Bucharest must also encourage the Russian-speaking minorities, who are alienated by the unionist discourse, to join the conversation. Finally, you asked Romanians who want union to become Moldovan citizens and to show sincere interest in Moldovan culture, theatre, cuisine, to have a dialogue with the Moldovan identity instead of trying to destroy it. Why do you criticise the “traditional” unionist discourse in Romania? What are the strong elements of the “civic” unionism, which you propose? I don`t like nation states. If we think impartially, we will understand that the state is an abstraction. It is something constructed in people`s heads. The same applies to the nation. Some 200 years ago as a result of political objectives at that moment of human development these two abstractions were united in one even more abstract concept: the nation state. Then in the name of this abstraction people went to war, just how they did in the past in the names of other kinds of abstractions – let`s only remember the religious wars. In our day, within the EU, the nation state doesn`t make sense any longer. Let`s continue to think impartially. Today, in 2018, if a citizen of the Bulgarian or the Romanian state is no longer happy with the standard of living there, they can move freely anywhere in the EU. In other words, in the past we used to choose where to live and to work on the basis of some abstractions. Today we make those choices in the light of concrete things – where the standard of living is higher, where the schools are better, where the air is cleaner to breathe. That is why I think it doesn`t make sense to appeal to national identities. We need to appeal to the concrete benefits for the people. Unfortunately the talk about the Union is too burdened with nationalist elements and is not concrete enough on the benefits for the ordinary people. For example, if the authorities in Bucharest, Chişinău, Belgrade and Budapest decided to construct a highway or a high-speed railway from Odessa to the Adriatic Sea or towards the heart of Europe through Chişinău, Iaşi, Târgu Muerş, Timişoara or Cluj, it would bring the union closer than any other nationalist discourse, because it would create jobs, would raise the exchanges and the communication between people and would offer all (Ukrainians, Russians, Moldovans, Romanians, Shekelys, Hungarians, Serbians) a common interest for development. They would understand that only together can they succeed within the EU, without thinking about what divides us, but only about what brings us together. A similar project could be thought out with regard to the Baltic states, Poland, Bulgaria, Greece and Turkey, if we want to develop ourselves, to westernize ourselves, to modernize ourselves: an infrastructure project from the Baltic Sea to the Aegean Sea. Otherwise, we may remain with a mentality from the 19th century – being strong nationalists, but very poor, ill, uneducated and backward. I fear that this is happening in Belarus. So we don`t have to look far – we have an example next door. I’m not just criticising the lack of vision. Even within the nationalist discourse, there is a problem: there are too many words and no calls to action. You either make the union, or you don’t. If we talk about it all the time, we certainly won’t achieve anything with that talk. Has anybody said when we are going to do it? I haven’t heard a concrete date yet. Otherwise, I agree, the evolution of the unification topic in the public agenda is interesting, especially through the symbolic union declarations that were adopted by around 150 towns and villages in the Republic of Moldova and by some of their peers in Romania. There were even declarations for union signed by universities, high schools, and agricultural cooperatives. These declarations could prepare the public for a political decision, if there are politicians that have decided to act. But I fear that it might become a ridiculous topic, laughed at, and could fade away after the Hundredth Anniversary of the Great Union is celebrated on 1 December 2018. In our region there are few initiatives by and of the citizens for building bridges that join people. Often curiosity towards one’s neighbours is translated into emotions towards the people of our own ethnicity who live in the neighbouring country. To what extent do Romanians, Bulgarians and other people from our region need to overcome the limited framework of the national egoism and to look for communication and collaboration of the kind that exists in the heart of the EU (Western Europe)? Have you seen such an openness to dialogue with the neighbours recently between Romanians and Bulgarians? There is a simple explanation why there are so few initiatives like these: we don`t have the infrastructure which could facilitate the exchanges and communication. There are only three places where one can cross the border between Romania and Bulgaria easily: Calafat-Vidin, Giurgiu-Rousse and Vama Veche-Durankulak. Most traffic goes over the Giurgiu-Rousse Bridge, first of all because it is a European transport corridor. However the Bridge of Friendship looks unpleasant. There are mountains of rubbish on both the left and right side of the road. They don`t attract Bulgarians to make a visit to Romania. If we don`t construct real bridges, we won`t be able to have any bridges of dialogue either. In Bucharest there used to be a Bulgarian restaurant, but it was closed. I am not aware of the existence of a Romanian restaurant in Sofia. It is good that at least we have a Romanian high school in Sofia and a Bulgarian one in Bucharest. But I haven`t heard about any collaboration between the two high schools. There is not even a joint debating competition or a public speaking competition. It is probably too difficult to spend eight hours on the road between the two capitals. From this point of view, Baricada’s effort to inform the public through bilingual articles about the news in the two countries is very well received, in my view. But I would ask the authorities to allow and to encourage cultural exchanges, to decide to spend money on roads, bridges, railways. This way people will be able to know one another without intermediaries. They will do business and organize projects that will benefit both sides. They will become true friends. You have observed that on one hand Romania supports the pro-European course of the Republic of Moldova, but on the other Bucharest has had strong anti-European rhetoric in recent months. In fact, the unionist discourse was dormant after the `90s, but was reactivated five years ago. You have also noticed that Poland (in fact Polish right-wing forces) strongly support Moldova`s attraction to the EU. They have supported Moldova through various European programmes and initiatives, which was not done by Romania. Romania and Poland are often seen as states with a similar role in the geopolitical sense. What do you notice, when you compare Polish and Romanian activity with regard to the Republic of Moldova? Poland had an interesting moment around 2011, when it held the rotating presidency of the Council of the EU, which has implications for the Republic of Moldova. It was a moment in which there were still talks about the EU`s expansion and about the prospects of opening of negotiations with the states from the Eastern Partnership. In this context, I think Poland played a courageous card, with the precise goal of strengthening its influence in the EU. The result was that the Polish prime minister at that time, Donald Tusk, became the president of the European Council in 2014. In other words, the Polish politicians had a clear objective, they planned their actions well, and then obtained the respective results. In my view, at that time Moldova received incidental attention, which it didn`t expect to get. This episode from history shows through contrast that Romania is not in a state to even draw up a vague plan of action. That is why it doesn`t get any results. This is what I criticised earlier: Romanian politicians speak too much and do too little! Maybe the time has come to change that. In your podcast you always put an emphasis on the question of what the citizens can do on the issue of each programme – so that they become more informed, make changes or become happier. So far there are two podcast topics: anti-corruption and international events/relations. How can Romanians make a positive change in those domains through civil activity? Change is good where things go bad. But there are also things that go well. There is no need for change there. It is only necessary to maintain the things the way they are, so that the situation doesn`t deteriorate. At Telegraful/Hypothese we often put emphasis on two things: well-being and responsibility. If things don`t go well, if the road to well-being is not guaranteed, this must be said out loud, so that it is heard. The most important thing is for the message to be heard by those who have the power to make decisions. They have the responsibility to facilitate the processes through which durable solutions are found. If our listeners receive these two messages and accept them, surely they will learn how to combine them. Success might look like this: the citizen no longer argues with the politician because the latter hasn`t found a solution, but argues with him about why he hasn`t made the effort to gather the best experts, to allocate resources, to facilitate finding the best solution. And the politician no longer fights with the voters about why they voted the wrong way, but thanks all those who have contributed to the finding of the best solution. This ideal is not limited only to anti-corruption and to events from abroad. It must function as a new model for society in domains such as education, health, business, or other spheres where we need state intervention. It should function, because it is about relations between people. In essence people have mutual respect for their human dignity, can find trust in one another, can respect a word or a handshake that is given. I think that this is how things in the world should function – in Haskovo, in Orhei, in Craiova, in Novi Sad, in Zaragoza or in Gdansk. In order to achieve this, the ordinary people should do one and only one thing: to realise our value, the power we have, when we want to do something together. I hope that we will succeed in making people realise these things through our podcasts! 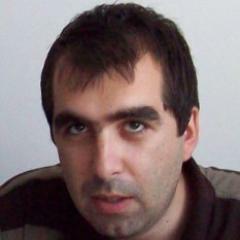 Vladimir Mitev is a Bulgarian-Romanian journalist based in Rousse, a town on the very border between the two countries. 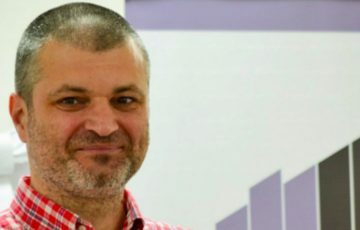 He is the editor-in-chief of the Romanian website BARICADA Romania, which initially started as a Romanian language version of the Bulgarian portal by the same name. He focuses on international politics. He has worked for the Bulgarian weekly “Tema” until its closure in 2015. He founded the bilingual Romanian-Bulgarian blog ”The Bridge of Friendship”. His articles and translations have been published by the BGNES agency, the magazines of A-specto and Economy, the blog of ”Solidary Bulgaria” and others. He has published also in the Romanian magazines of Decât o Revista și Q Magazine, in the Romanian cultural magazines of Vatra and Poesis, and in the Romanian left-wing portal Critic Atac. Previous Post:Should Polish left be afraid? All rights reserved. Copyright © 2017 - Publishing House "Baricada", 30 William Gladstone Str. 1000 Sofia, Bulgaria. Any republication without prior permission will result in legal action.